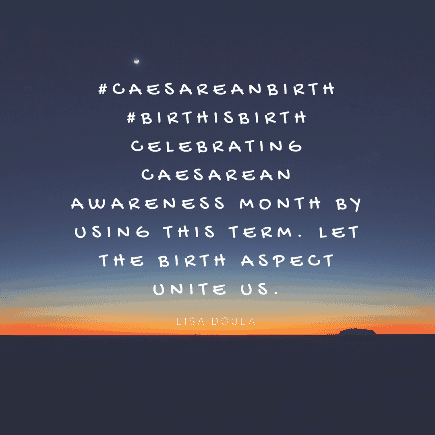 Lisa Casson (mother, doula and Placenta Specialist) writes about her #caesareanbirth #birthisbirth campaign. 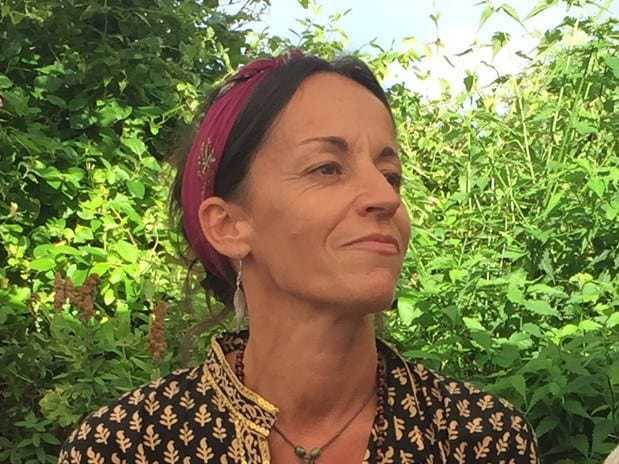 After several years of personally trying hard to use the term ‘caesarean birth’ within the birth worker world and beyond, I began to increasingly feel it wasn’t enough, and felt the pull to do more. The reality seemed that even with use, repetition, explanation and reinforcement, the power of learned language held strong. To give context, my passion to be part of the change has roots in my own birth experiences and acceptance, at the time, of the language used to define it. It manifests, too, in my connections and relationships with women who birth, and how medicalised and impersonal terminology can devalue their birth experience, leaving them disempowered and disillusioned as they step onto the path of new parenthood. I understand, in most cases, it is not used with any bad or negative intention, but it is clear if we don’t harness inclusive language for all, it remains divisive for some. How different would a woman feel if her caesarean birth was referred to as such? Firmly placing the word birth right there with it rather than using the term ‘caesarean section’, which implies a procedure, intervention, surgery, being ‘done to’. It puts me in mind of the words shared by Susan Highsmith in her 2016 article for ‘Midwifery Today’, “We can perpetuate society’s paradigms by using its language, or we can choose our words to create the change we want to see”. 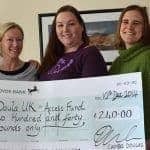 And so, in this spirit I shared my plans with Maddie McMahon, who was my mentor when I began my doula journey in 2012 and who has continued to be incredibly giving of her time and thoughts beyond this. She commented that it linked up well with the recent RCOG guide to phrases that need to be changed when talking to women and to a growing awareness of birth trauma and how language can be triggering. She further added “If it’s asking people to be mindful of their language, then your campaign is part of the zeitgeist”. It was beginning to feel more timely, particularly in light of the momentum that had been created with the published article in February by Professor Andrew Weeks, Catherine Williams and Natalie Mobbs, titled: ‘Humanising birth: Does the language we use matter?’. It provided a fantastic insight into the power language holds, with its ability to positively transform or have the inverse effect, while exploring its use within maternity settings. There is reference within it to the brilliant work Maternity Experience (#MatExp) continue to do around this. You can read the full article here. What started out as raising awareness with a direct focus on women evolved when Professor Weeks asked for an additional meme to share, one that considers all people within the birthing journey. I was grateful for this suggestion as it made it fully inclusive. I realise that my reach will have targeted natural allies, who are already language-aware. My hope is that the seeds are sown further, though I’m content with the reality that even if one person considers their language moving forwards, it has been every bit worth it. Thanks to Maria Booker, Programmes Director of Birthrights, who I first discussed my intentions with. Also to Milli Hill, who inspired the double hashtag.